Australia can lay some claim to strong connections to this year’s World Food Prize winner. The occasion of the World Food Prize each year on 16 October is an important opportunity to draw international attention to food security and honour those whose achievements have advanced human development by increasing the quality, quantity or availability of food in the world. It is fitting in this, the 100th anniversary of the birth of Nobel Peace Prize winner Norman Borlaug, who created the World Food Prize in 1987, that the winner is someone who worked so closely with Dr Borlaug. Dr Sanjaya Rajaram is well known to the Crawford Fund, having been honoured with the Fund’s inaugural Derek Tribe Award. The Award medal, bearing the likeness of Emeritus Professor Derek Tribe AO OBE FTSE, who set up the Fund, was presented to Dr Rajaram, then Director of the Wheat Program at the International Maize and Wheat Improvement Center (CIMMYT) in Mexico in 2001. 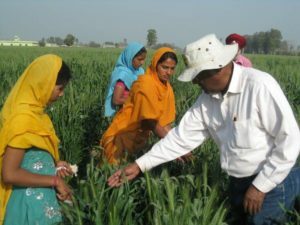 It shows Dr Rajaram’s life-long commitment to research for food security to consider the reasons for his winning each award and his statements on receipt of them. 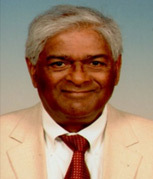 While the World Food Prize was awarded for Dr Rajaram’s ‘scientific research that led to a prodigious increase in world wheat production – by more than 200 million tons – building upon the successes of the Green Revolution’, his Derek Tribe Award, given 13 years earlier, acknowledged Dr Rajaram’s outstanding contributions and leadership in the breeding of bread wheats with increased yield potential and dependability, resistance to disease, and tolerance to stress. Following the Fund’s Award presentation, Dr Rajaram gave an address entitled “The Human Right to Food and Livelihoods: The Role of Global Wheat Research” in which he talked about ‘breeders without borders’. He also noted his strong support for the Fund’s efforts and his strong links to Australia – he emphasized how rewarding it was to receive recognition in Australia as he had arrived in the mid-1960s as a Narrabri Rotary Club scholarship student from India. 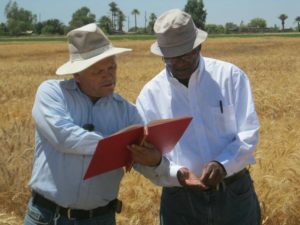 “It was here that I received my doctorate in wheat genetics, and it was here that I was directed towards my life’s work at CIMMYT,” his address notes. His sentiments in receiving the World Food Prize 13 years later were “I felt highly honored to receive the news that the 2014 World Food Prize would be awarded to me, and through me, to hundreds and thousands of wheat researchers and farmers around the world. I believe that the challenges of 21st-century agriculture and food production are surmountable compared to the past and can be overcome provided we can bring together new knowledge and delivery systems to farmers in a very sustainable manner. Future crop production is bound to decline unless we fully factor in the issues related to climate change, soil fertility and water deficits, and utilize advanced genetics in the next 20 to 30 years. It will require all the resources from international research centers, national governments, foundations, NGOs and farmer groups together to synergize future agricultural technologies and food production,” he said. Dr Rajaram’s efforts show that he’s a true ‘breeder without borders’ and we offer him our heartfelt congratulations and thanks for the breeding work over his lifetime that has so helped both the poor in developing countries and Australian farmers with new varieties to address new challenges.